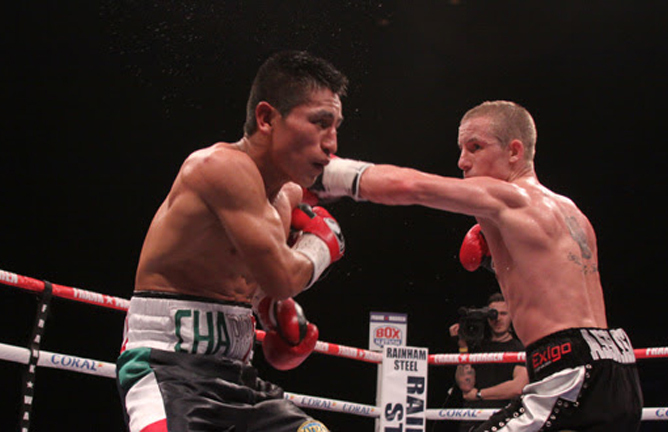 Former IBF Bantamweight World Champion Paul Butler is eyeing an all-British World Title showdown with Doncaster’s Jamie McDonnell. The Baby Faced Assassin fights for the third time under new trainer Joe Gallagher in an eight round contest at the Manchester Arena on April 8. WBO Lightweight boss Flanagan, 32-0-0 13 KO’s, was a special guest at the Etihad yesterday, addressing the 54,000 strong crowd before City battled to an entertaining 1-1 draw with Premier League rivals Liverpool.